Prof Hervé Morvan, Director of the Institute for Aerospace Technology, gives some background on the Aerospace Research Challenge, an opportunity for researchers across all faculties to receive project funding up to £50,000. 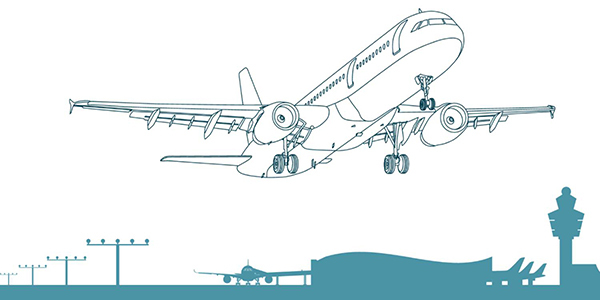 The Institute for Aerospace Technology (IAT) is running a multidisciplinary Aerospace Research Challenge (MARCh) aiming to seed new ideas for research with applicability to the aerospace industry, in particular coming from early career researchers, and colleagues who do not necessarily have a track record in aerospace. Apply by Wednesday 15 April to take part in a challenge-led workshop, which will aim to explore the interests, ideas and skill-sets on offer. Where suitable, the workshop will develop multidisciplinary teams of applicants for the purpose of scoping potential project ideas, with the intention of inviting a mixed portfolio of proposals to take to final selection stage. Following the workshop, the best ideas will be supported by the IAT for development into a ‘Dragon’s Den’ pitch, later to be put to the IAT’s Industrial Advisory Group who will have monies to award to the best projects. Projects will range from £5,000 to around £50,000. Resources will also be allocated to work the winning idea(s) into externally funded research proposals with the help of the IAT Business Development Team. Applications are welcomed from researchers and academics of all disciplines and faculties from across the University. No prior knowledge of the aerospace industry is presumed or required. If you have concerns that your area of research may not be applicable to the challenge, or for more information generally, please contact Chris Guest.